What is going on in Opa-Locka, Florida? The same mail processing facility that is allegedly holding uncounted absentee ballots, was also responsible for sending Cesar Sayoc’s fake pipe bombs through the system. A small group of activists gathered outside the federal building on Friday claiming possible voter suppression and sharing photographs they claimed showed scores of uncounted ballots sitting inside the facility’s mail room. Local activists said an employee of the mailroom claimed scores of ballots had been sitting there for up to several weeks. But the Miami-Dade County Supervisor of Elections office said there was “zero” chance any ballots had been invalidated during the mailing process and that any ballots mailed late would eventually be delivered to them. So why is there need for an investigation? It should be noted that Miami-Dade is one of the most Democrat-heavy areas in Florida. Despite losing Florida in 2016, Hillary Clinton defeated Trump by nearly 300,000 votes in Miami-Dade county. If Democrats needed dirty deeds done in Florida, this would seem to be the perfect area to find willing accomplices. 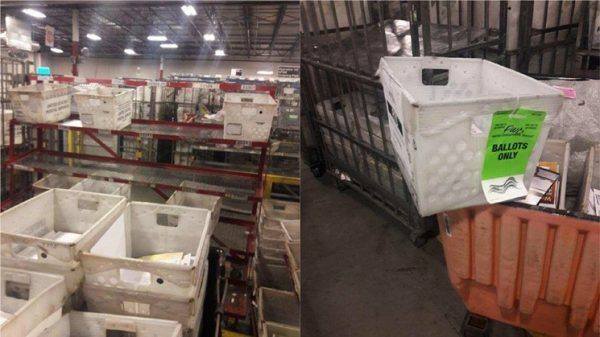 Miami New Times is reporting that the below photos prove there are uncounted ballots currently inside the Opa-locka processing facility. Miami-Dade County announced today that it has finished counting votes for the 2018 election. But photos obtained by New Times show scores of mail-in ballots sitting inside an Opa-locka mail distribution center — the same center that wasevacuated last month after alleged mail bomber Cesar Sayoc’s pipe bombs passed through the facility. Yes, Cesar Sayoc’s pipe bombs. Whether the above photos prove anything is questionable. The photos came from an anonymous party, possibly the postal worker already mentioned. But the story is not hard to believe considering Cesar Sayoc’s pipe bombs passed through this very same facility. They supposedly passed through and didn’t get a postmark, in fact. 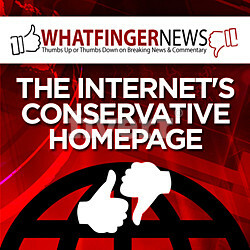 I see it as just a little bonus psychological warfare for the American sheeple (those who won’t think for themselves). They want you and I to look at that envelope and draw the conclusion that Republicans are uneducated. I think we are both smarter than that. But millions of people are not. But the misspellings aren’t the biggest story here. There is no postmark. The media has not changed the narrative and still contends that the packages were mailed. So how does one mail a fake pipe bomb for $3.00 AND avoid having the package postmarked. Sayoc certainly didn’t hand deliver them all. He surely had some help. What the hell is going on in Miami-Dade County and, more specifically, at the Opa-locka mail processing facility? If you can’t see clear indicators of vote fraud in this election then I’d say you must have voted Democrat. Don’t be a lock-stepping Democrat. The future of our country is at stake.